Oricula Therapeutics, LLC, is working to develop the first medication approved to prevent hearing loss. Our first product will prevent the hearing loss that is a frequent side effect of the administration of an important class of antibiotics, the aminoglycosides. Reducing or eliminating hearing loss as a side effect of aminoglycoside therapy would allow broader worldwide use of these important antibiotics for the treatment of life-threatening bacterial infections, such as pneumonia, endocarditis, neonatal septicemia and multi-drug resistant tuberculosis. The FDA has allowed our Investigational New Drug (IND) filing for this product to move forward to early human testing. Hearing and as balance are dependent upon tiny hair cells in the inner ear. Humans are born with approximately 15,000 of these hair cells. They don't regenerate, so once they are lost due to damage or aging, hearing and balance are affected. Our mission is to develop medicines that preserve hearing and balance by protecting these inner ear hair cells from the damaging effects of drugs and aging. 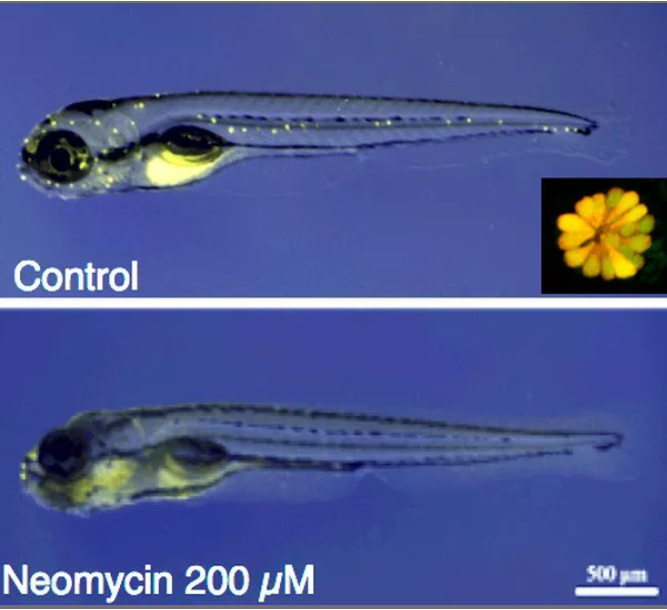 Work by us and our colleagues worldwide has shown that zebrafish hair cells have many properties in common with the inner ear hair cells of humans and other mammals. Oricula Therapeutics' first product (ORC-13661), a medicine to preserve hearing during aminoglycoside therapy, has completed preclinical development and has been approved to move into early human testing for safety, tolerability and pharmacokinetics.